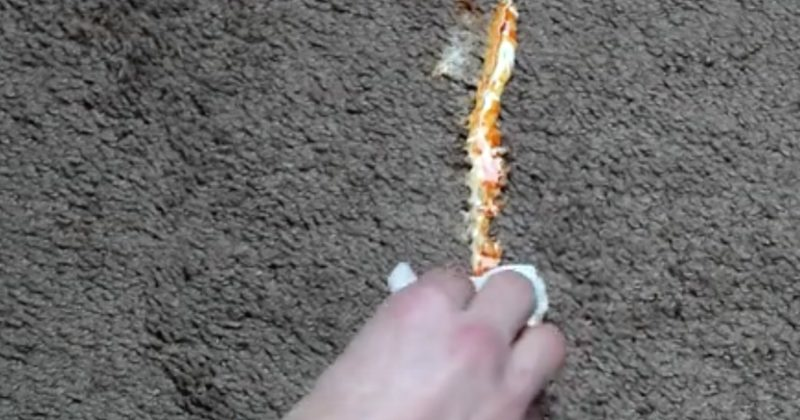 Don’t let a nasty pizza stain on the carpet haunt you forever. Greasy food can leave some pretty weird marks on the carpet if you don’t clean up properly. Thankfully, the key to cleaning up a mess can be as simple as using one thing you’ll find in your kitchen: baking soda. There are a lot of amazing uses for baking soda, but this might be the most important (especially for messy eaters). Bottom line: don’t panic, don’t leave the stain, and remember to keep baking soda on hand.